The testimonies of anthropologists, specialists of the subject confirm the cultural, social and spiritual major influence of Revival. 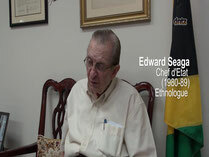 The publications of Dr William Wedenoja (anthropologist, the USA - the beginning of its researches in 1972) and those of the former Prime Minister Edward Seaga, the ethnologist since the 50s make a reference still today. For the musical part, " Soul rebels " offers producers-musicians' anecdotes and confidences from those created this musical genre from the 80s. 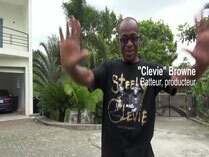 So, Clevie Browne, who was with Steely Johnson (died in 2009) the co-architect of the Dancehall music. It is these both which composed the rhythmic standards of it. Also Sly Dunbar (of the duet " Sly and Robbie ") reveals that his international hit (" Murder she wrote " by Chaka Demus and Pliers) use Revival instruments. 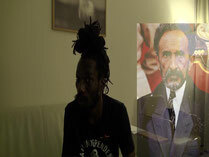 On the side of the Reggae / Dancehall singers, Sizzla Kalonji, Rastafarian icon for two decades, explains what differentiates the Rastafari faith of that of the 18th and 19th centuries worships. 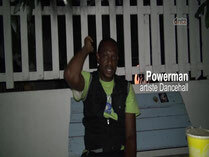 The artist Powerman and Merciless are two "veterans" of the genre who show what is the vocal dexterity of a Dancehall artist. Without forgetting the local institution of Sound systems with the boss of the most famous of them in service : Killimanjaro. Noel Harper, explains for the first time the circumstances in which a Jamaican sound system played Kumina in 1992. It is as well the first time as Sista Patt appears in a movie. Interviewed during her first concert in England in 2017. She is at present to me the most impressive revival gospel voice and was known only through uncredited Street CDs sold on the markets of Jamaica.